Obsessive-compulsive disorder (OCD) can be a nightmare to live with. If your life is being negatively impacted by intrusive thoughts and compulsive behaviour, it can sometimes be hard finding the best source of help. Luckily, with the correct OCD treatment methods (medical or otherwise), the impact on your day-to-day life can be minimised and it is even possible to make a full recovery. Even for those who will be living with the OCD symptoms for life, you are able to take back control of your life and manage the symptoms, with access to the correct treatments. Stress can trigger symptoms of OCD this could be as a result of work/relationship difficulties, unemployment or illness. It is also thought that it can be due to painful childhood experiences or traumatic events with obsessions and compulsions used as a coping strategy. Symptoms of OCD may be gradual and can last for a long time if they are not addressed and treated. A person experiencing OCD may go to great lengths to avoid situations that may trigger their symptoms. Obsessions and compulsions can take up a lot of time and can make life unmanageable for some without the right support. Whilst there is no cure for OCD there are a number of different coping strategies that can be used minimise and manage the symptoms. At Serenity Addiction Centres we will provide you with a treatment programme suitable for your individual needs. Our fully qualified team are all caring empathetic people, some of whom have been there themselves. Please contact us should you require any further advice or information on treatment options available to you. There are many different ways you can cope with OCD, including natural methods, at-home treatment, medication, therapy, counselling and rehab. You should carefully consider which treatment is best suited for you. You can contact us to talk with a trusted advisor who will help you understand the different options available to you. It may be surprising to hear but OCD sufferers have had a variety of positive effects from herbal and natural remedies. If your symptoms are fairly mild, this may be enough to help you regain control. Milk Thistle (Silybum Marianum) is ancient Iranian herbal remedy that was tested against Prozac in regards to control of OCD symptoms. The experiment was tightly controlled and accounted for placebo effects, but could find no major difference between milk thistle and Prozac when it came to helping relieve the symptoms. 5-HTP and Inositol have also been found to have some benefits, likely because they work within the serotonergic and glutamatergic pathways, both of which appear to be heavily dysregulated by Obsessive Compulsive Disorder. Unfortunately, there is a lot more research needed in this area. However, there is very little risk in trying these supplements for yourself and seeing if they can help with your symptoms. Mindfulness meditation has been shown to have plenty of benefits including helping with Exposure and Response Prevention (more on that later) and it can also have beneficial effects when it comes to the anxiety and fear that usually comes along with OCD. Acupuncture and Yoga, while less proven than mindfulness, also have been heavily suggested to have beneficial effects for anxiety and help calm the mind, which can be a huge bonus for OCD sufferers. If natural home treatments have failed you, the next step is the officially recommended treatments. The most effective known OCD treatment options are CBT (cognitive behavioural therapy), involving graded ERP (Exposure and Response Prevention). CBT is a form of talking therapy, but don’t let that put you off. CBT is a scientifically proven technique that involves focused on current thoughts and issues instead of discussing your past. Therapists will help break down your issues into individual problems, for example your intrusive thoughts, negative feelings or actions. Studies show that over 80% of OCD sufferers can overcome their symptoms and recover entirely through CBT. If you are interested in learning more about what CBT can offer you, we highly recommend calling our OCD helpline for free advice and information on 0203 151 1280. Exposure and Response Prevention is a more intense treatment that involves being exposed to stimulus that can trigger your symptoms, while refraining from a fight or flight type response. Therapists will typically encourage you to face your fears and let your obsessive thoughts bubble to the surface but without using your compulsive behaviours to attempt to satisfy the thoughts. While it can often cause some mild short term anxiety at the time, and probably sounds quite scary, ERP has a strong record of reducing symptoms and facilitating long term improvement in OCD. If you decide you do want therapy from our highly skilled and friendly staff, you can also schedule a free tour of one of your local therapy centres to learn more about the resources, facilities and environment. CBT and ERP are proven methods and we employ some of the most skilled therapists in the world, meaning it’s extremely unlikely that those therapies won’t help you control your symptoms. However it is possible with particularly severe OCD that therapy alone won’t let you get complete control of your symptoms. When this happens, a combined treatment of therapy and medication is required. The most common medications prescribed for OCD are selective serotonin reuptake inhibitors, also known as SSRIs. Depression and OCD treatment via this medication work in the same way, by increasing the levels of serotonin in the brain. Generally, you will need to take SSRIs for over 12 weeks before they will start to make an effect. Stopping SSRIs can also cause some nasty side effects and it’s a bad idea to stop taking them without speaking to your doctor first. OCD symptoms can continue to improve for up to 2 years after beginning SSRI treatment. In extremely rare circumstances, if therapy and medication have still failed to get your OCD under control, we have specialist OCD treatment teams available UK and worldwide that are ready to take your treatments to the next level. So don’t be afraid to get in contact if you have already tried to gain help elsewhere but have made little to no progress. Alongside the above treatments, support groups are a great way to meet other sufferers and therapists. They will often provide advice on coping with your symptoms, general reassurance, and can also just be a chance to socialise with others in similar situations to yourself and feel less isolated. We are able to provide free advice on guidance on the best support groups local to you as well as what they offer so don’t be afraid to talk to us to discuss. If you call up for our free guidance or advice, we won’t just talk to you about our own clinics and resources. If there are NHS facilities local to you that are likely to be able to help you control your OCD, we will be able to give you more information on these facilities, their OCD treatment success rates and which ones are the best for you. 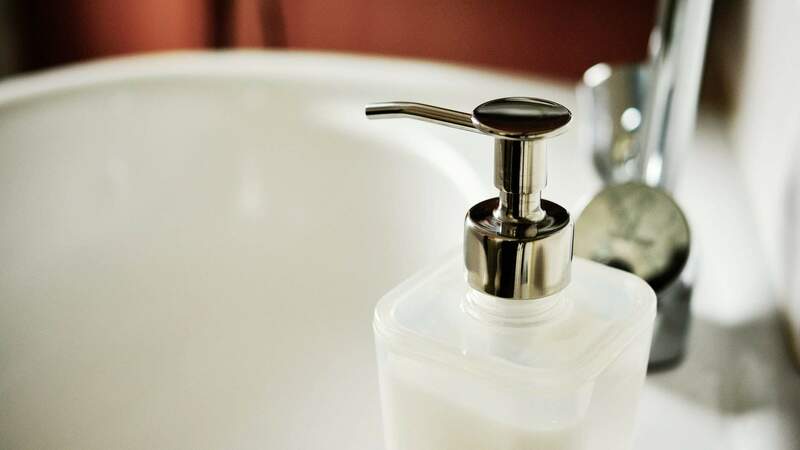 With Pure OCD, compulsive behaviour is clearly visible, for example switching light switches back and forth repeatedly, or washing your hands numerous times. Pure O, POCD or Pure OCD, is a form of OCD where these compulsions are hidden or take place entirely within the sufferers head. The symptoms usually consist of intrusive thoughts regarding subjects such as faith, fate, health, relationships, sexuality, violence and more. Common Pure OCD obsessions can involve worrying about harming loved ones, fearing you aren’t good enough for your partner, or even fearing you’re homosexual when you’re heterosexual (or vice versa). Pure OCD can be a lot harder to spot than regular Obsessive-Compulsive Disorder, as it is easier to hide from family and friends. The same OCD treatment therapy strategies and medications listed in our above OCD treatment guidelines can work wonders for effective POCD treatment. If you think you may be a Pure OCD sufferer, we highly recommend contacting us now for a free assessment to see what kind of help you may need and how best to go about getting it for you. Serenity Centres have some of the best recovery rates in the world, and you can find your nearest centre here or by giving us a call on 0203 151 1280. We are also happy to advise you on OCD treatment in London and beyond, OCD in the UK, as well as with NHS facilities in your local area and what they can offer you, with no obligations. We also help to treat co-occurring issues and various other process disorders.